This is my Czech glass Birthstone rosary for January. 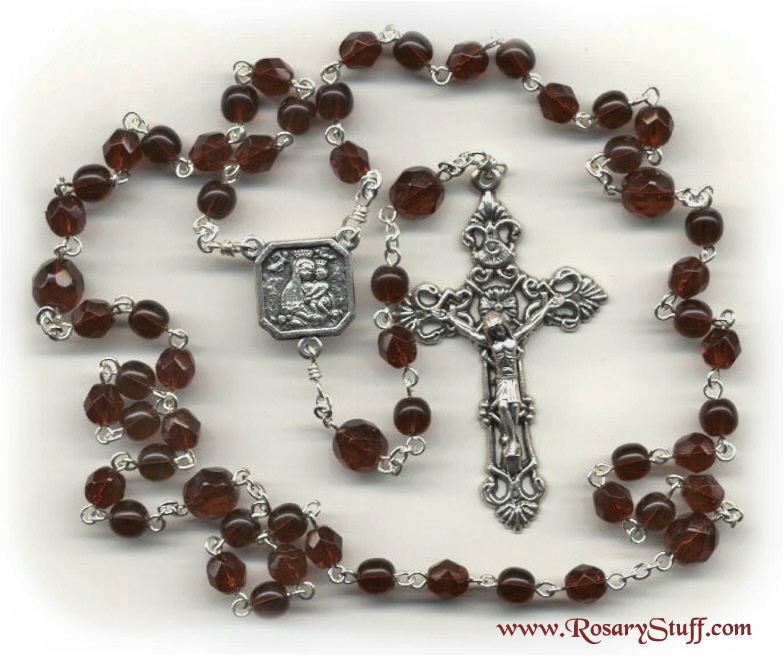 Although this rosary is made using Czech glass, the traditional birthstone for January is the Garnet. As one of the more expensive semi-precious stones, natural Garnet can vary in color from medium red to a deep, dark, reddish brown.